Our range of products include aluminum layer feeder and pvc layer feeders. For our honourable patrons, we offer a distinguished assortment of Aluminum Layer Feeder. 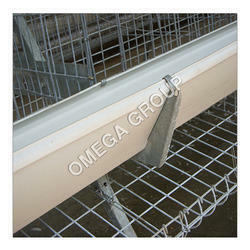 These aluminum feeders are used in poultry farms for feeding hens and chicks. As a quality focused firm, we are engaged in offering a high-quality range of PVC Layer Feeders.